An authentic, natural, and traditional wine produced from the original Garnacha, which was first cultivated in Aragón in the 7th Century, and spread around Europe by the Medieval Kingdom of Aragón. Calatayud produces a unique expression of Garnacha due to its geographic and climactic conditions. As Spain's highest altitude region for the production of Garnacha, the temperature swings are radical - up to 60°F in the summer. This produces wines with deep color and character, as well as lively acidity. 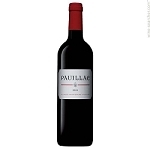 The wine is characterized by aromas of ripe black fruit compote, overlaid with spices such as black pepper. There is an obvious minerality to the wine, proceeding from vineyards’ diverse range of soil types. The soils range from iron rich red slate and clay to black slate. Round, smooth and dense, this red shows harmony and balance. Plum and blackberry flavors mingle with black olive, taost and mineral notes, supported by well-integrated tannins and fresh acidity, leaving a lovely floral finish. Drink now through 2027. Sweet, yet delicate raspberry-liqueur nose. Almost opulent, but the ripe fruit and fresh acidity carry the widescreen body well. Long, supple finish. Drink now or hold. Copyright © 2016 - 2017 Good Grapes. All Rights Reserved.